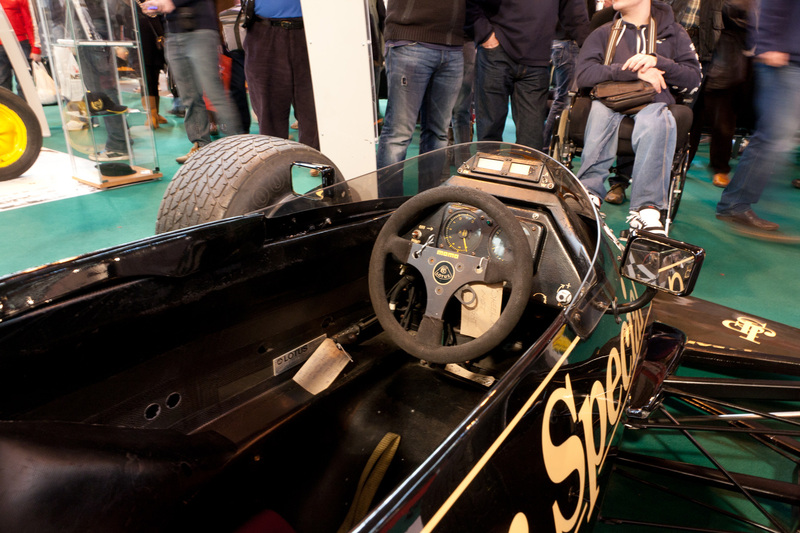 Since it’s launch in 1991 the Autosport International show has grown to become one of the largest motorsport events on the calendar, attracting exhibitors across the full spectrum of motorsport, from F1 to Kart teams, along with a wide range of part suppliers, resellers and engineering firms. 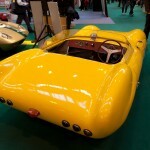 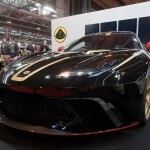 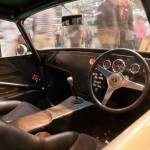 In recent years the show has also grown to incorporate the PistonHeads Performance Car Show, bringing with it modifiers and sports car manufacturers. 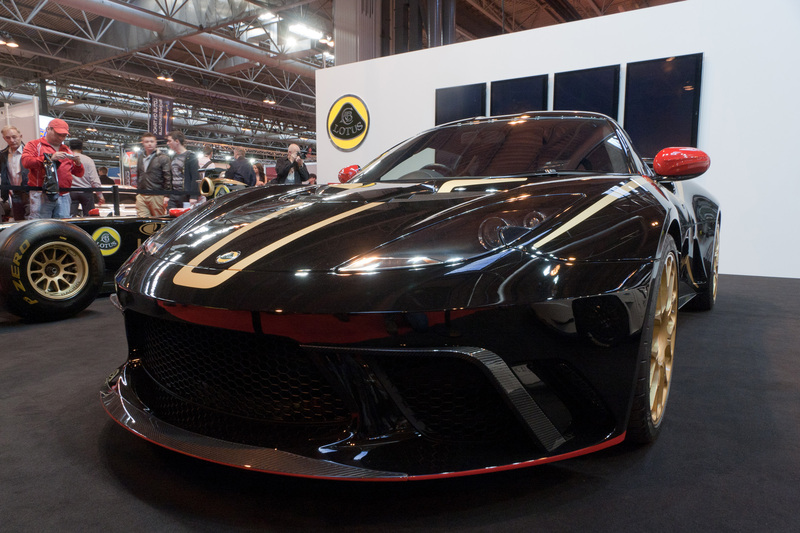 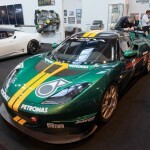 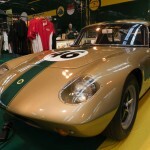 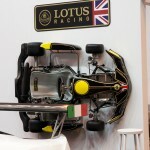 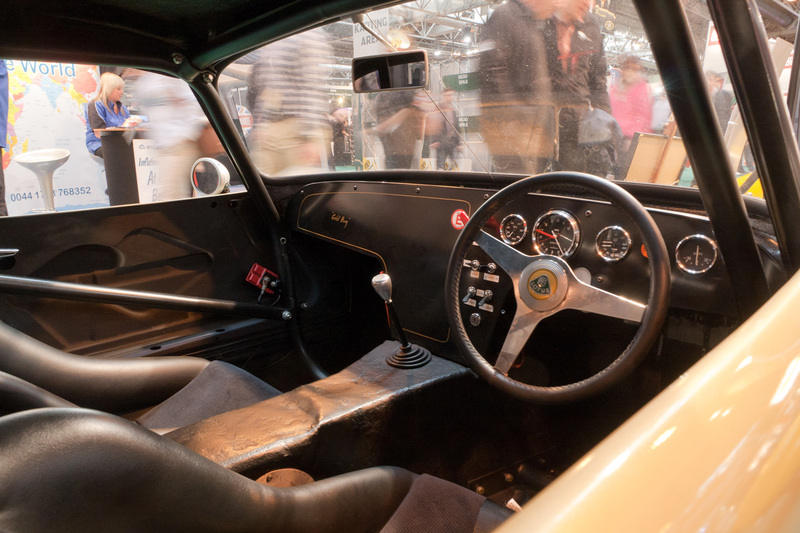 Lotus had a trio of stands at the show, with the new Lotus Racing stand, Lotus-on-Track Race Driver Club and Classic Team Lotus all located in Hall 6, and the WD-40 stand featured the Lotus Sport UK run Evora GT4 which competed in this years British GT Championship. 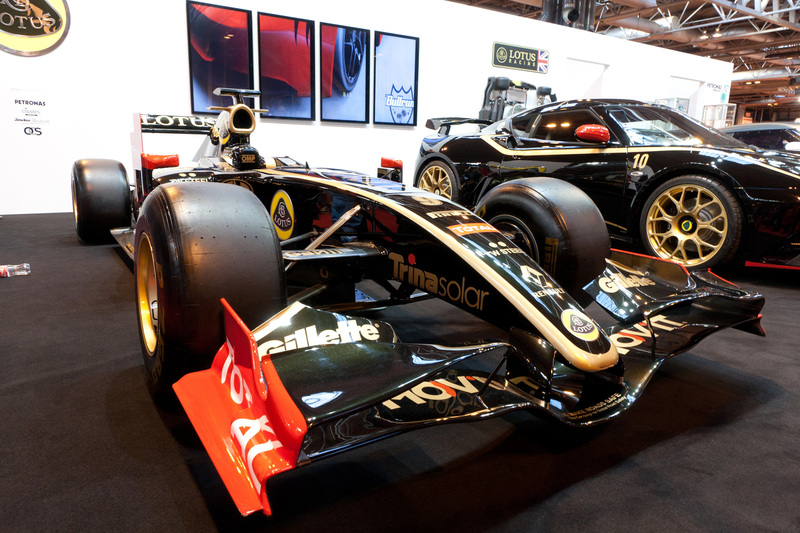 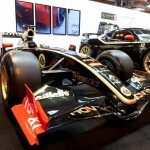 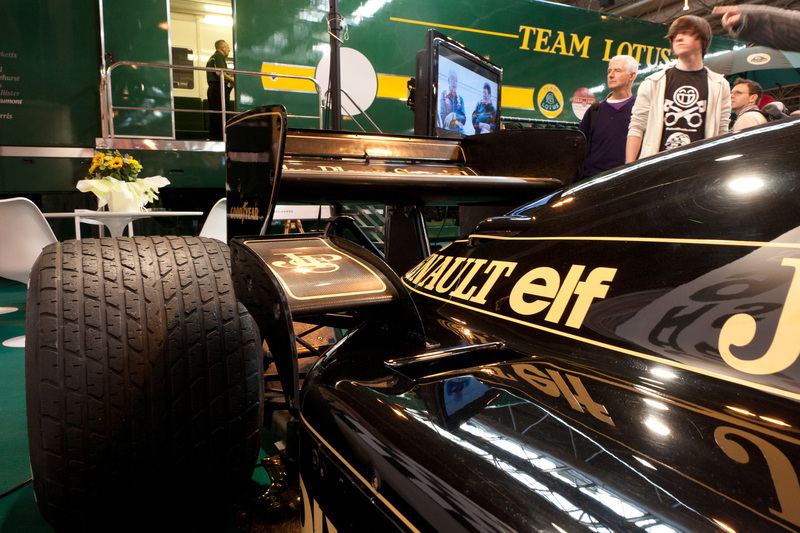 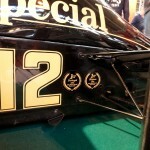 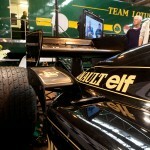 The Lotus Renault GP R31 was also at the show, both on the Lotus Cars stand and a second car on the F1 Racing Grid display. 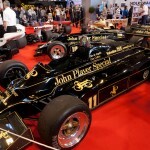 Lotus Commercial Director Tony Schulp and factory driver Johnny Mowlem took to the stage on Thursday to discuss the latest motorsport developments from Lotus, including the new Lotus Club GT scheme, the rebranding of Lotus Motorsport to Lotus Racing and a move to a Black and Gold colour scheme across all of their motorsport activities and developments in their new entries in Indycar, rallying and the Bullrun Racing Britcar Team. 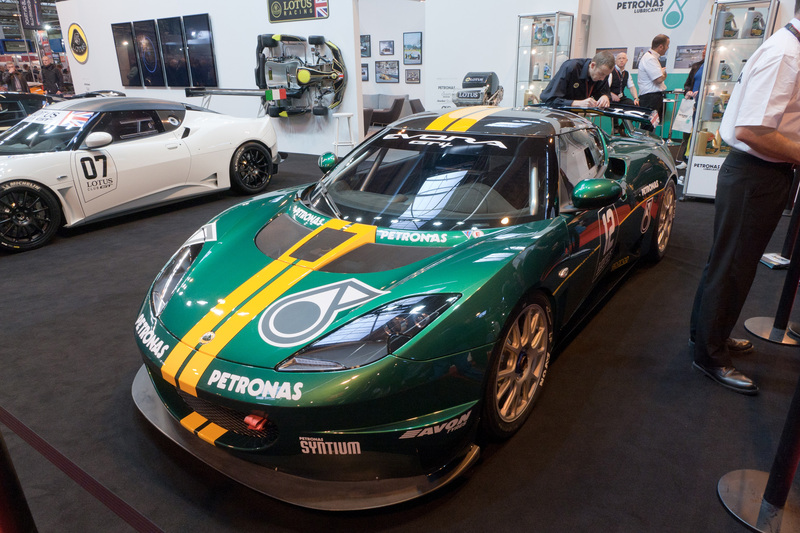 The Lotus Racing stand was dominated by variants of the Lotus Evora, with the Evora GTE road car, Evora GT Enduro features in the Club GT introduction video, and Evora GT4 showing a snapshot of the broad spectrum of Evora race and road cars available, along with the Lotus Renault GP R31 F1 car. 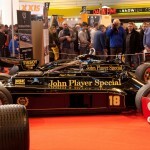 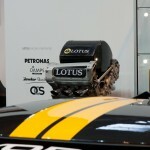 Along the back wall the Lotus Kart and new Twin Turbo V6 Indycar engine were also on display. 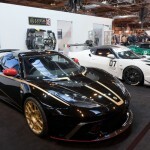 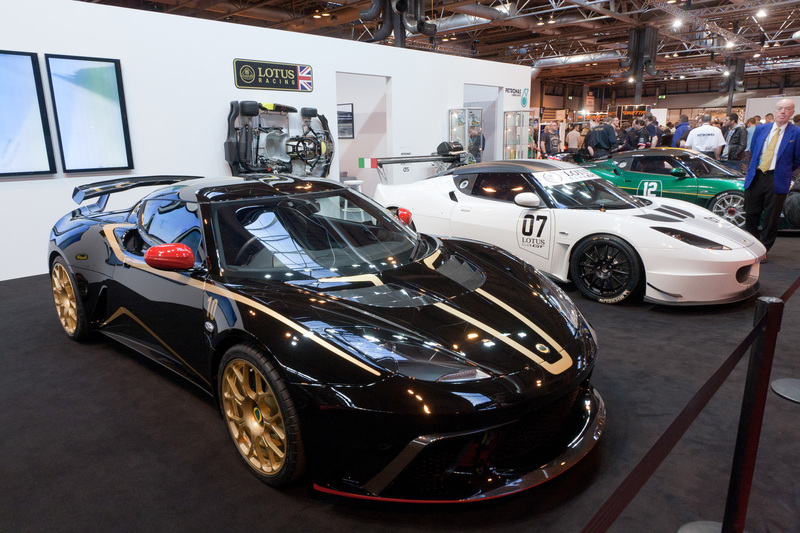 The Black and Gold colour scheme on the Evora GTE, while fantastic looking in itself, actually conspired to hide the differences between the Evora GTE and the standard road car, the colour scheme previously seen on the Evora S GP Edition blending in against the carbon fibre detailing of the revised front bumper – a shame given that for many this would be the first time they’d have seen the car and there was nothing to explain to casual onlookers what it actually was. 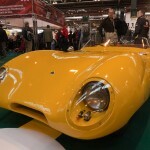 A bolder colour such as the Yellow seen in press shots would certainly have helped. 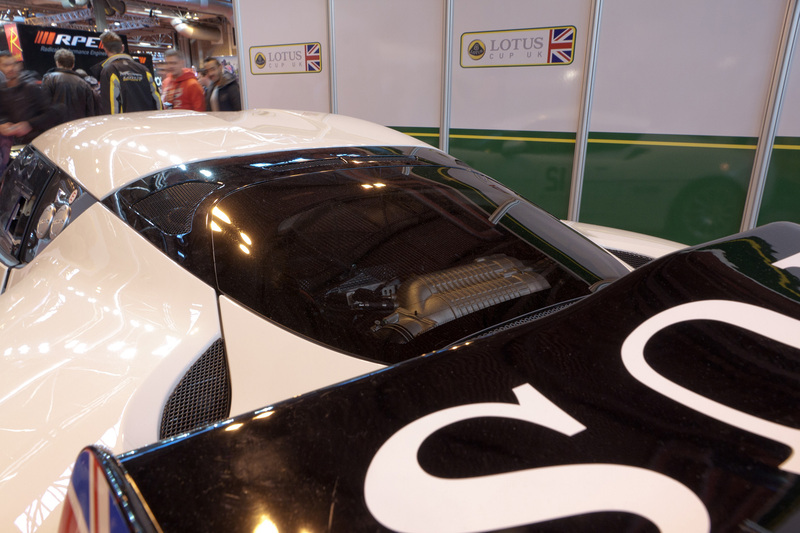 On a more positive note however the wider stance and race inspired details gave the GTE a pleasingly more ‘pumped up’ look, particularly around the wheel arches, and should please those who felt the standard car lacked a hint of aggression. 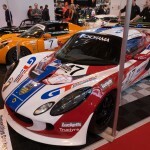 Located alongside the Lotus Cars stand Lotus on Track Racing Drivers Club were also present with a trio of cars from their Elise Trophy, Lotus Cup UK and Lotus Cup Europe along with the brand new Evora GTS race car which will be eligible to race in both Lotus Cup UK and Lotus Cup Europe’s new ‘V6 Cup’ class in 2012. 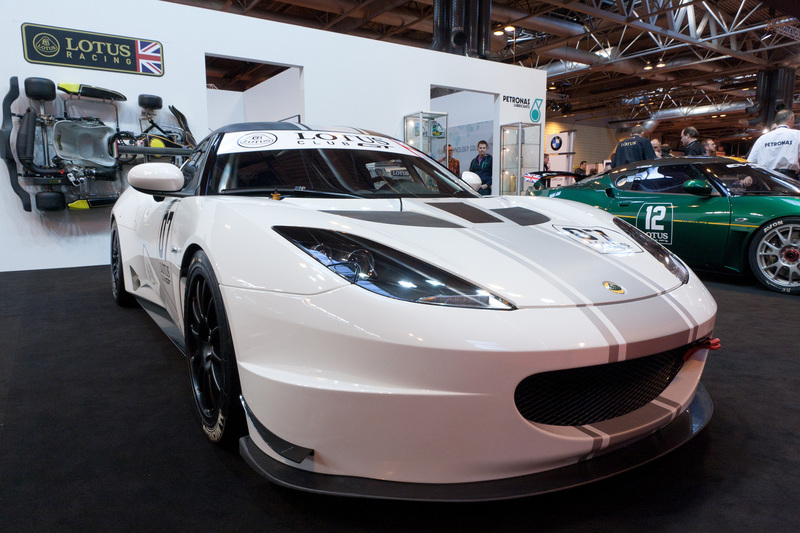 Unlike previous race going Evoras which use a Cosworth developed, enlarged and normally aspirated version of the Toyota 2GR-FE engine, the Evora GTS is based heavily on the road going Evora S, retaining it’s supercharged 345bhp engine with the addition of a wet baffled sump and Accusump along with a range of modifications inherited from the Evora GT4. 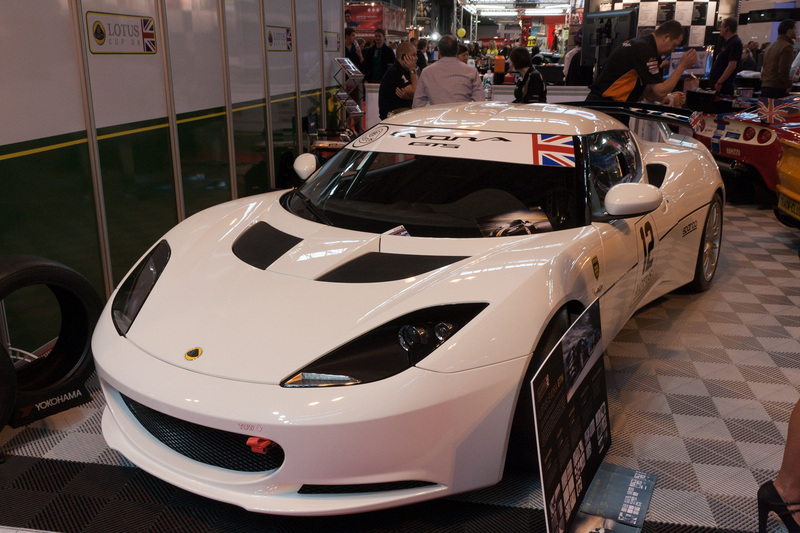 Along with the Evora GTS, Lotus Racing are also providing a range of kits to convert road going Evoras to Evora GTN specification. 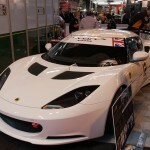 Both the Evora GTS and converted Evora GTN cars will be eligible to race alongside the Evora GT4 in the new Lotus Cup UK and Lotus Cup Europe ‘V6 Cup’ class. 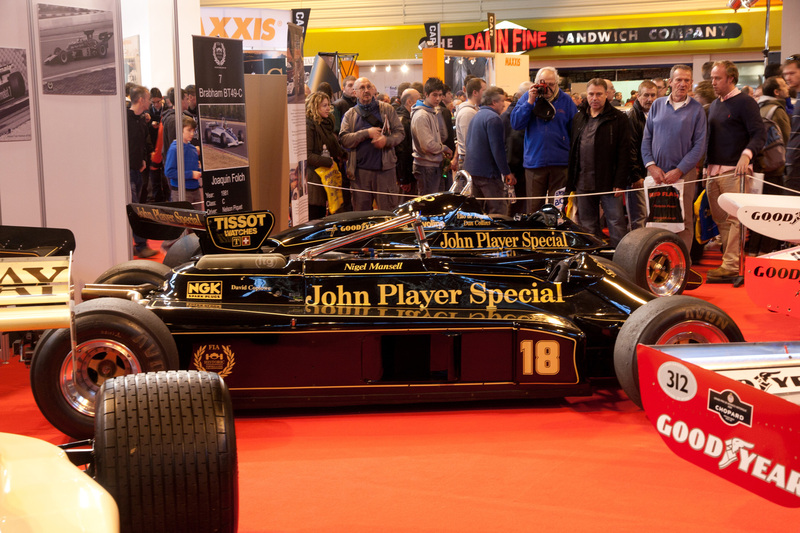 Classic Team Lotus brought along a selection of race and road cars along with their extensive range of merchandise to kick off what is sure to be a busy year as they help Lotus celebrate their 60th anniversary. 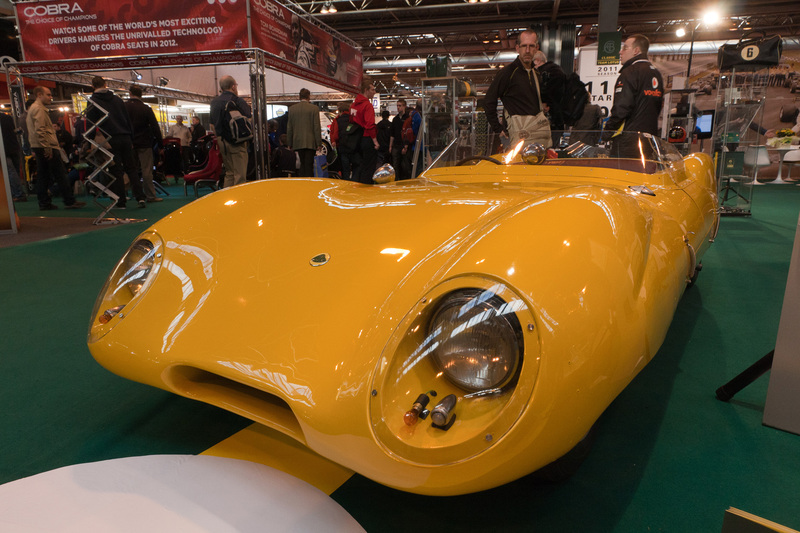 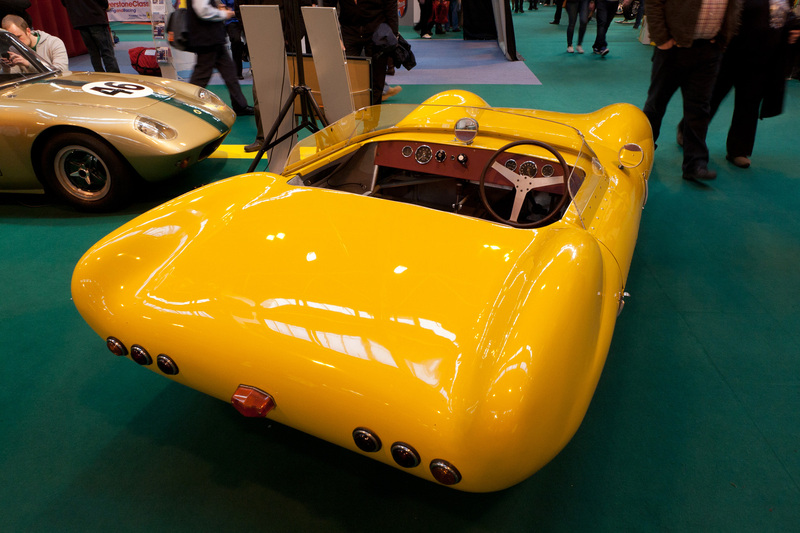 The recently restored Lotus Eleven MkII, featured in the latest Classic Team Lotus Quarterly Review, which was owned by Colin Chapman and looked stunning with it’s revitalised yellow paintwork. 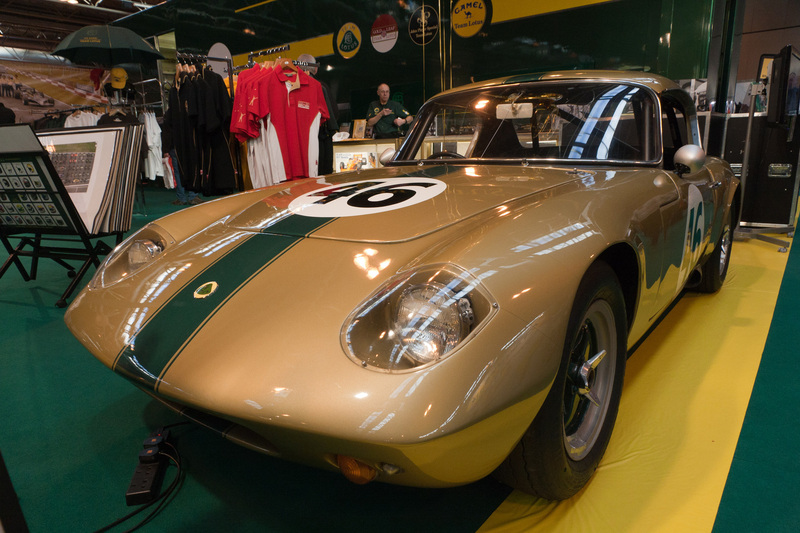 Alongside it was the ‘Gold Bug’ Lotus Elan 26R, complete with 50th birthday balloons as the Elan celebrates it’s golden jubilee. 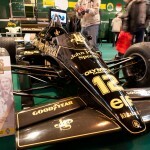 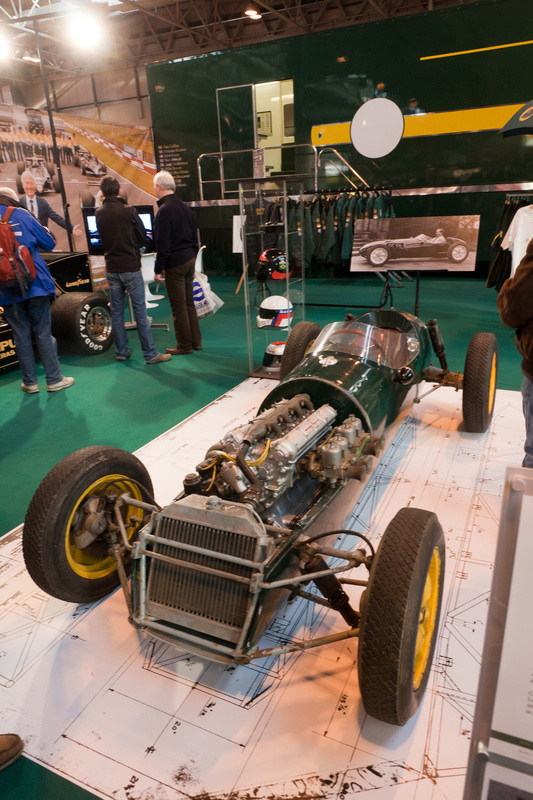 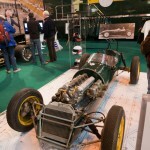 Also present was the Lotus 12, a front engined F2 car and Team Lotus’s first ever single seater. 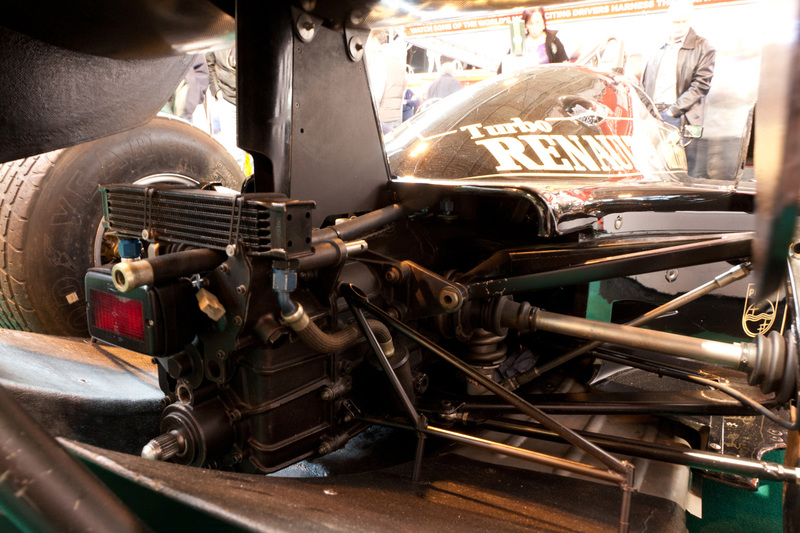 This was presented atop a full-sized General Arrangement diagram, giving a look back to a time before computers dominated engineering. 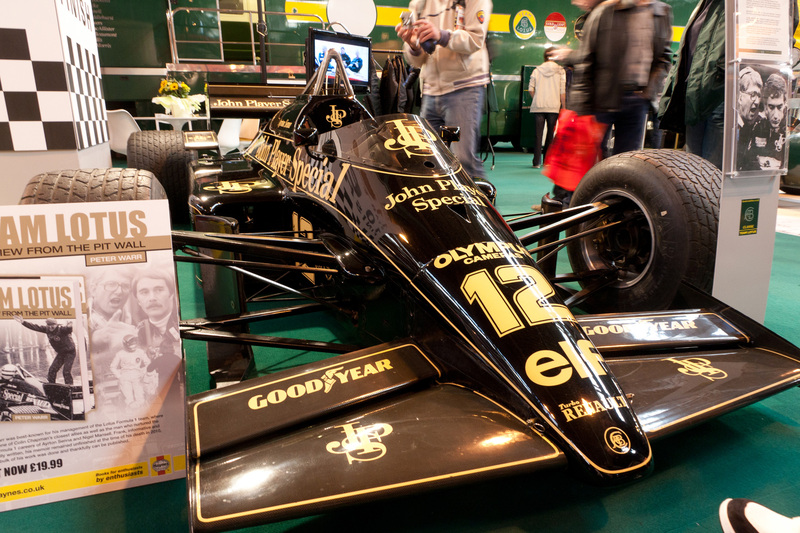 Last, and by no means least, was the 1985 Lotus Renault Type 97T as driven to victory by Ayrton Senna in the Portuguese and Belgian Grand Prix’s. 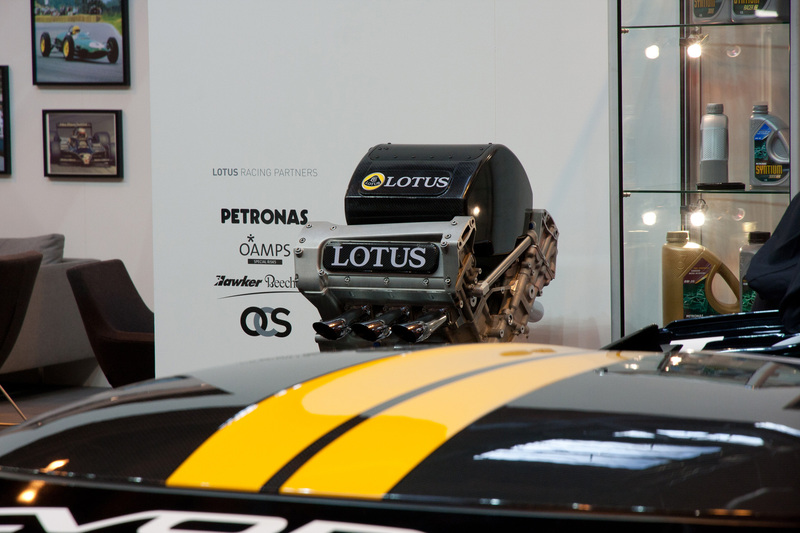 It was an absolute pleasure to be able to get up close and personal with one of these turbocharged monsters and really take in the details. 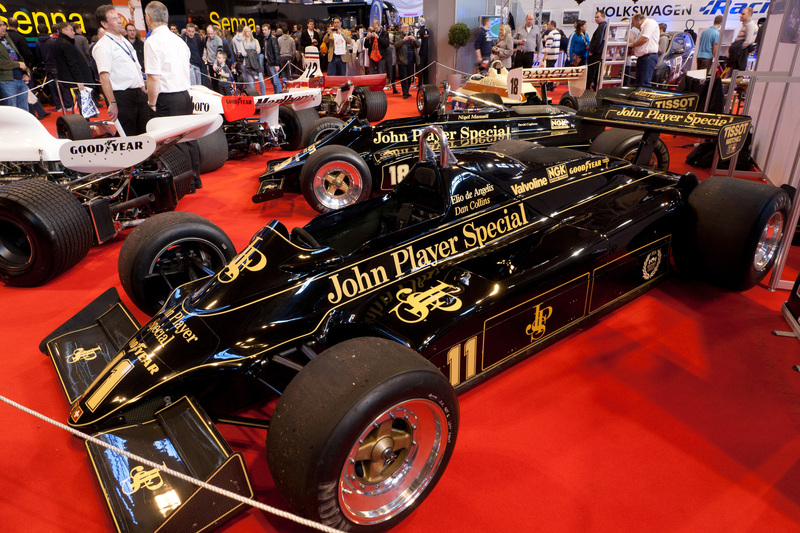 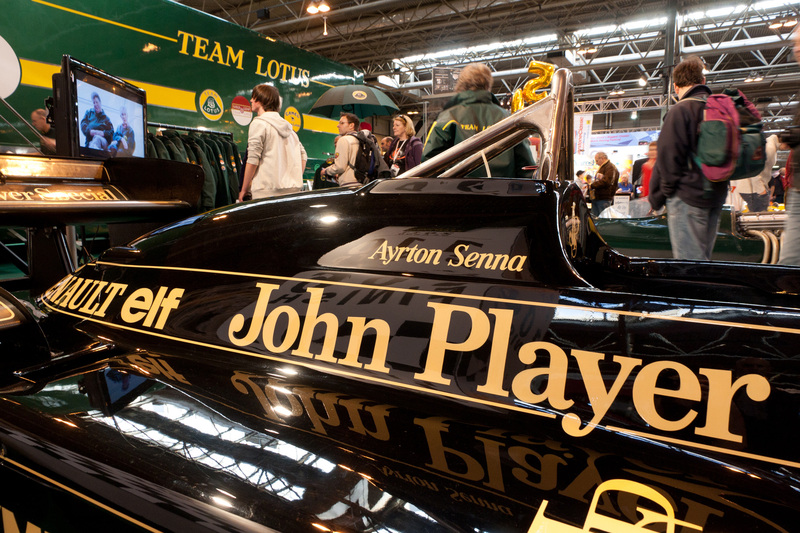 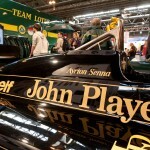 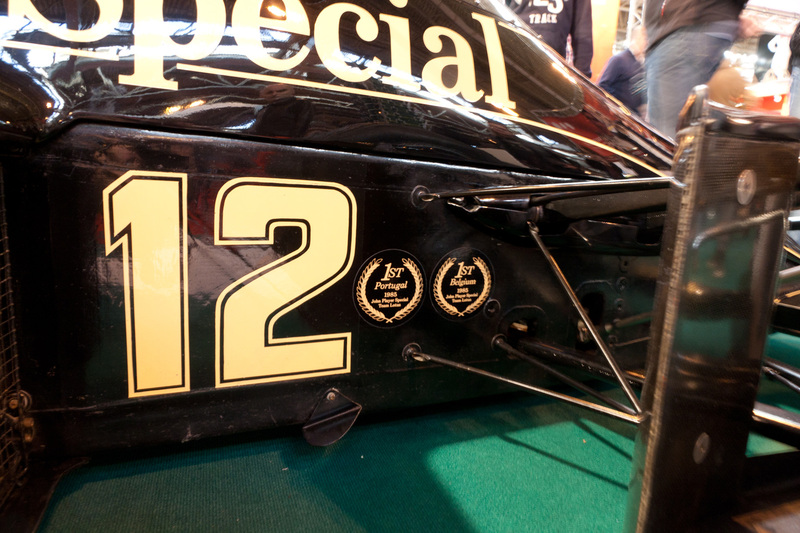 Elsewhere there was a spattering of Lotus’s, with the JPS liveried Type 87 from 1981, the Type 91 which pioneered active suspension in 1982 in the classic Formula 1 area, while in the Ayrton Senna Tribute there was a Lotus-Honda Type 99T – the last Team Lotus car to win a race. 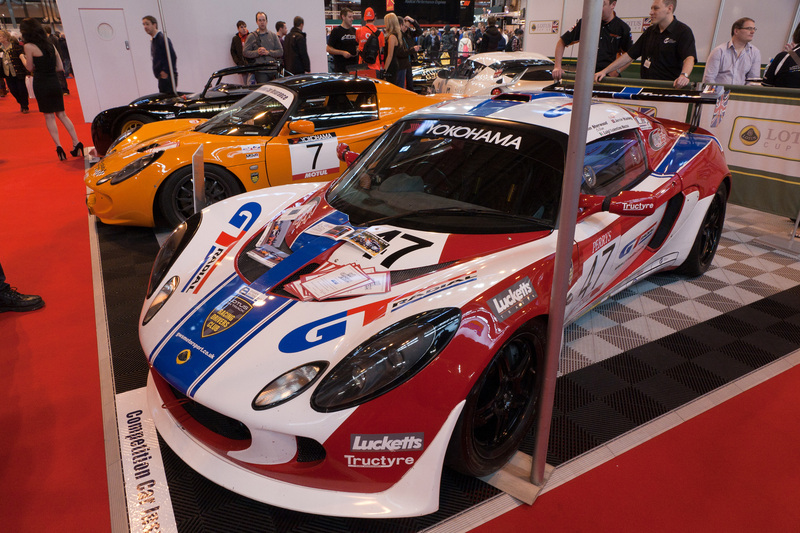 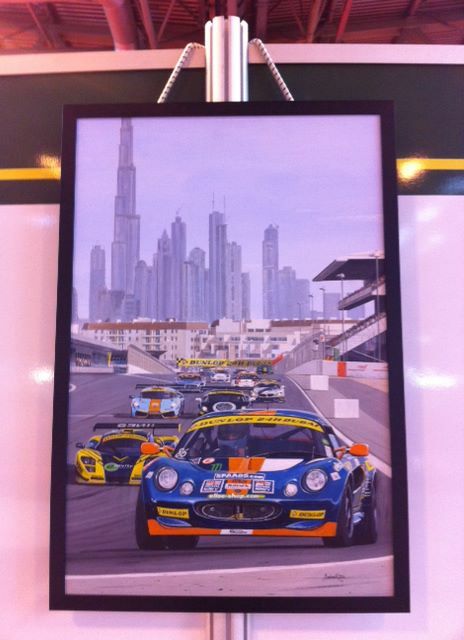 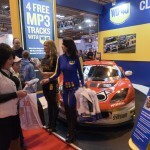 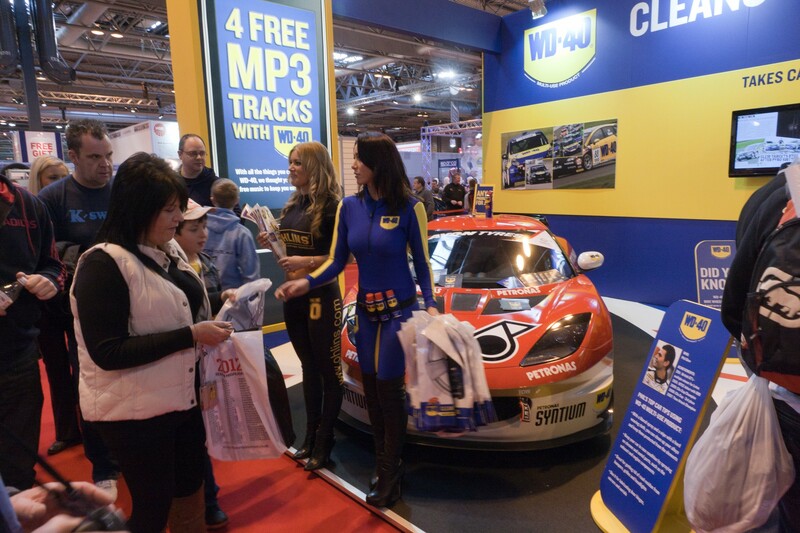 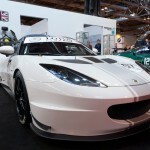 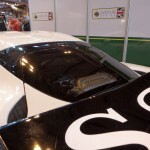 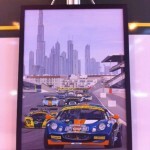 The WD-40 stand played host to the Lotus Sport UK run Evora GT4 which took a number of Class victories in the GT4 class of the British GT Championship in 2011, along with running a competition with a range of prizes including a driving day at Hethel. 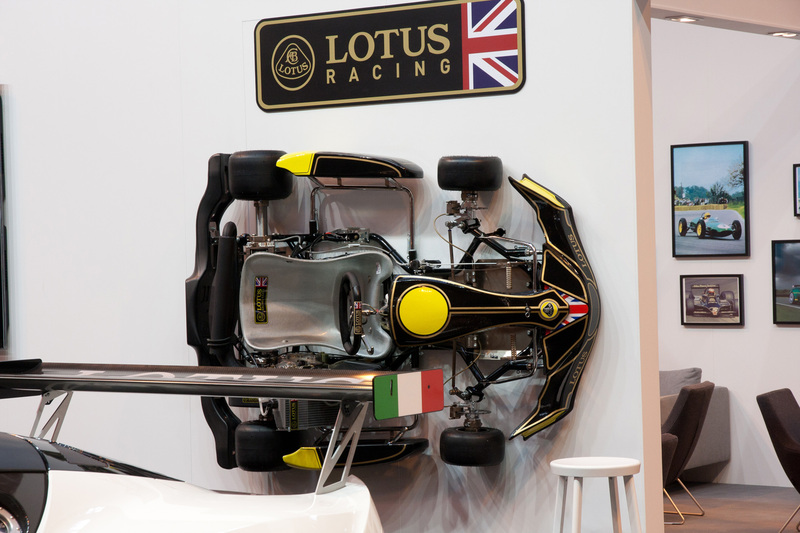 From the evidence at the show it’s looking set to be a great year for Lotus Racing and their customer teams with a reinvigorated attack on all levels of motorsport.